Now so will its audio! We have everything you need to get your Tacoma Rocking. 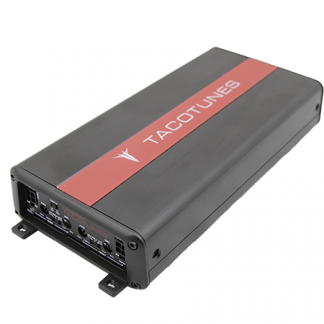 Complete plug & play budget friendly packaged audio upgrade systems designed for your Tacoma. High level complete audio system upgrades designed for the audio connoisseur. Parts that will make building your own system fast and easy. Can I add and amplifier(s) and keep my stock head unit (stereo)? We offer two solutions for the non JBL stereo your Toyota Tacoma. The ReCurve EZQ sound processor is generally used in higher end audio systems, while our plug and play EZAMPS are generally used in our mid level systems. If you are looking for superb sound quality, have a bigger budget then the ReCurve EZQ is probably your best choice. If you are looking for really good sound upgrade from your stock system, the plug and play EZAMPs will not disappoint you. Currently we do NOT offer ANY options for JBL equipped Toyota Tacomas. Can I add a subwoofer to my stock stereo? We generally recommend upgrading the speakers and subwoofer(s) to create a well-balanced audio system. However, a number of our customers wish to start with a subwoofer. Soooooo, to make it fast and easy we offer packaged subwoofer solutions in our shopping cart below OR you can purchase our add a subwoofer harness system that plugs directly into your stock stereo system. No cutting or splicing. Either way we offer different options to help you get this accomplished. 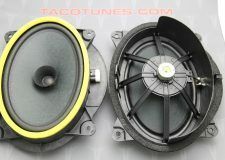 Why do you guys recommend components and a subwoofer? As explained in the videos below, to build a quality sound system you need the appropriate drivers for the job. Most customers that come to our shop and say I really don’t want a subwoofer have A. Never had subwoofer before or B. Had a poorly designed enclosure or very low end subwoofer. 99 times of 100 our local customers end up with a subwoofer in their system. I wish I had a dollar for every time I heard I really don’t want or need a subwoofer . . we demonstrate with and without the subwoofer and they always change their mind. To many people think that subwoofers are for shaking mirrors or annoying the neighbors. However, when you install a properly tuned and matched subwoofer to a component speaker set, you will enjoy music quality that many have never experienced. Sure our SQ1 packages get very LOUD, but the primary goal is sound quality. Just look at the smiles in our many customers here on the site and Facebook. We should have started posting pictures of customers long ago. 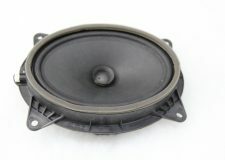 A component speaker is a set of car audio drivers matched for optimal sound quality. Typically, a pair of tweeters and mid-bass drivers are matched with a crossover to limit the frequency range each speaker must accurately reproduce. 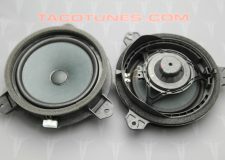 Component speaker’s drivers are physically separated so the tweeter, which is very directional, can be placed in an optimal listening position, usually facing the listener, while the larger mid-bass driver can be placed where there is room, often in the lower front of the car doors. Component speaker pairs are offered by high-end speaker manufacturers. We often like to place these in the Front doors of each vehicle. Components by nature and design tend to provide much better sound quality. The CTX65CS is an amazing bang for buck speaker. This speaker will outperform component sets costing twice the price. They are rated for 100 watts RMS per speaker. We regularly power them with 125 watts and they simply perform unbelievably for their price point. We have been authorized dealer for Image Dynamics since 2005. This is our number one selling speaker. We get nothing but amazing feedback on this speaker. Sometimes we have a hard time keeping them in stock. We offer these with custom sized speaker adapters, custom tweeter mounts and the hardware to get them installed in your Tundra Tacoma. 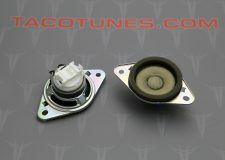 This set will allow you to use your factory speaker locations without any cutting or modification to your Tacoma Double Cab. Plus you don’t have to worry if they will fit. The speaker mount will replace your stock speaker (see video) and the tweeter includes an adapter that allows you to replace your dash speakers. 2005-2015 Toyota Tacoma’s came equipped with the stock tweeters in the upper door panel. The wiring configuration and shape of the stock tweeters created a few challenges in upgrading your stock tweeters/speakers. The stock tweeters are wired in parallel to the front door speakers. In short, this means if you remove the stock tweeters, the front door speakers will stop working. 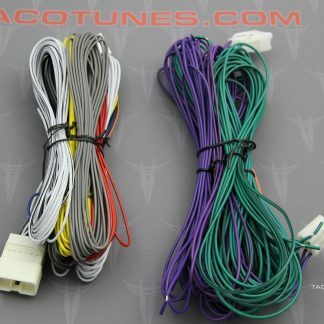 tacotunes.com provides tweeter & speaker wiring harness adapters along with tweeter mounting adapters to help you overcome these challenges. 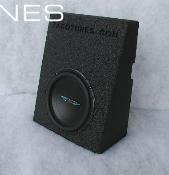 We also provide packaged speaker solutions that will fit your Toyota Tacoma. The base audio system comes equipped with front door speakers that resemble 6” x 9” speakers in the lower part of the front door. The speakers handle very little power and manufactured with low cost / quality materials. The stock speakers wired in parallel to the tweeters present a 4 ohm load to the factory stereo. 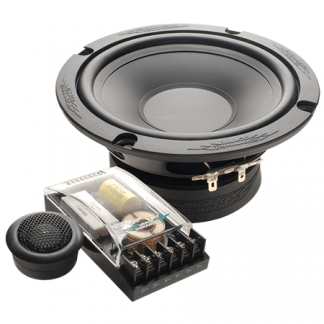 We highly recommend using a component set of speakers to ensure the proper load is presented to the stock head unit. We offer a number of different upgrade options for your front door speakers. Be sure to check out our packaged speakers systems designed for your Toyota Tacoma. In addition, we provide custom mounting brackets that allow you to install 6”x9”, 6.5” or 6.75” aftermarket component or coaxial speakers. The base audio system comes equipped with rear door speakers that resemble 6.5” speakers. There are no tweeters in the rear doors. Some of our customers have installed component speakers in the rear doors. This requires modifying the door panel. 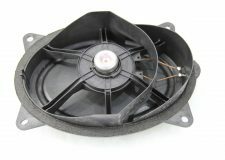 We offer a number of different upgrade options for the rear door speakers in your Toyota Tacoma. Be sure to check out our packaged speakers systems designed for your Toyota Tacoma. In addition, we provide custom mounting brackets that allow you to install 6.5” or 6.75” aftermarket component or coaxial speakers. The base audio system does not come equipped with a factory subwoofer. 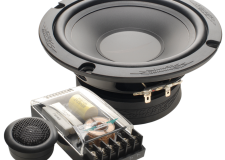 Be sure to check out our subwoofer options for your Toyota Tacoma. In 2016+ Toyota Tacoma’s came equipped with the stock tweeters in the dashboard. The wiring configuration and shape of the stock tweeters created a few challenges in upgrading your stock tweeters/speakers. The dashboard tweeters are wired in parallel to the front door speakers. In short, this means if you remove the stock tweeters, the front door speakers will stop working. 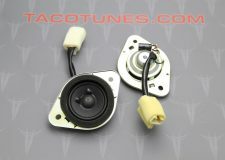 tacotunes.com provides tweeter & speaker wiring harness adapters along with tweeter mounting adapters to help you overcome these challenges. We also provide packaged speaker solutions that will fit your Toyota Tacoma. Below you will see a few of our many installation videos. There are a number of products we offer with video specific information. Those products will have link to their installation videos. This section will contain basic installation information. If you follow us on Facebook or keep up with our blog posts you already know that we have installed thousands of different Toyota audio systems. Many of our customers ask us to perform installs on their other brand vehicles and we have to tell them “nope, all we do is Toyota!”. We have customers drive from all over the USA to have us install their audio systems. Currently we have a VERY small network of installers that we use across the US. More often than we care to mention, prideful audio installers choose not to follow our plug and play setups and end up causing more issues than our DIY customers. Even our first time installers often do a better job than “professional installers”. Our customer install rate is over 99% success rate. Why? Pretty simple, they follow the instructions and in the vast majority of installs do a great job. If you are looking to have one of our systems installed, please use our contact us page. Provide your zip code and desired system you would like to have installed. We will check your area for an approved installation shop. If you would like our staff to install your system, please send us dates / times that work we will provide you with dates and times available for install. 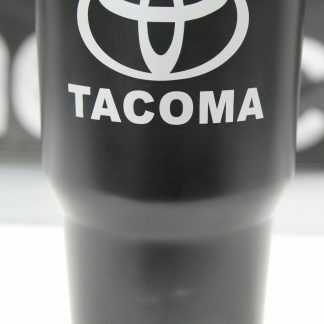 Keep updated on Tacoma products!